Have I a treat for you all today. With the success of the vintage fair dates last week I have some more for you but also a piece written about them by Jayne. The first & Original Vintage & Handmade Fair was held in the village hall in Rangeworthy, South Gloucestershire in 2008, the result of a 'lightbulb' moment between two friends, Jayne Soule & Michele Chivers. The events had to be moved on to bigger premises in Chipping Sodbury to accommodate the demand for stalls. 6 years on, visitors to this fair, held four times a year, come from far and wide and are treated to a selection of good quality vintage goods, along with some original and exciting stalls showcasing work from U.K artists. The fair has a loyal band of followers as well as many new converts who come to each fair and delight in the variety of goods on sale, from tip top vintage fabric & haberdashery items, millinery, kitchenalia, vintage clothing, vintage toys, unique handmade silver jewellery pieces, brocante pieces.. there is something to be found for every collector, maker & lover of vintage lifestyle. Vintage Jumble Sale, Rangeworthy Village Hall, Rangeworthy, South Glos. BS37 7LZ. 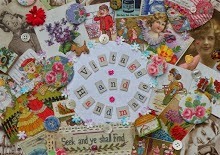 Original Vintage & Handmade Spring Fair, Chipping Sodbury Town Hall, Chipping Sodbury, South Glos. BS37 6AD. 10am - 4pm. £1.00 Admission. Vintage Jumble Sale, Selwyn Hall, Box, Corsham, Wiltshire, SN13 8NT. 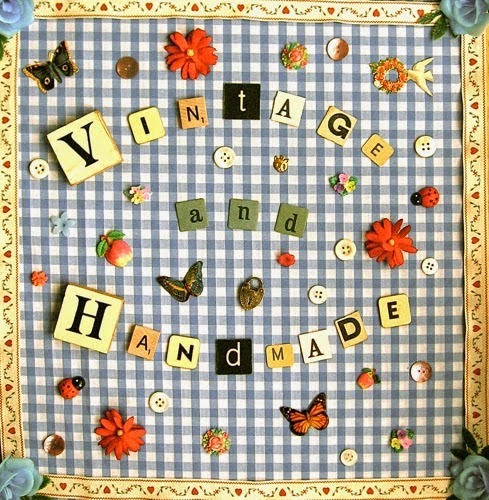 Original Vintage & Handmade Autumn Fair, Chipping Sodbury Town Hall, Chipping Sodbury, South Glos. BS37 6AD. Original Vintage & Handmade Christmas Fair, Chipping Sodbury Town Hall, Chipping Sodbury, South Glos. BS37 6AD. 10am - 3pm. £1.00 Admission. wonderful things to tempt you in your search for vintage wonders.